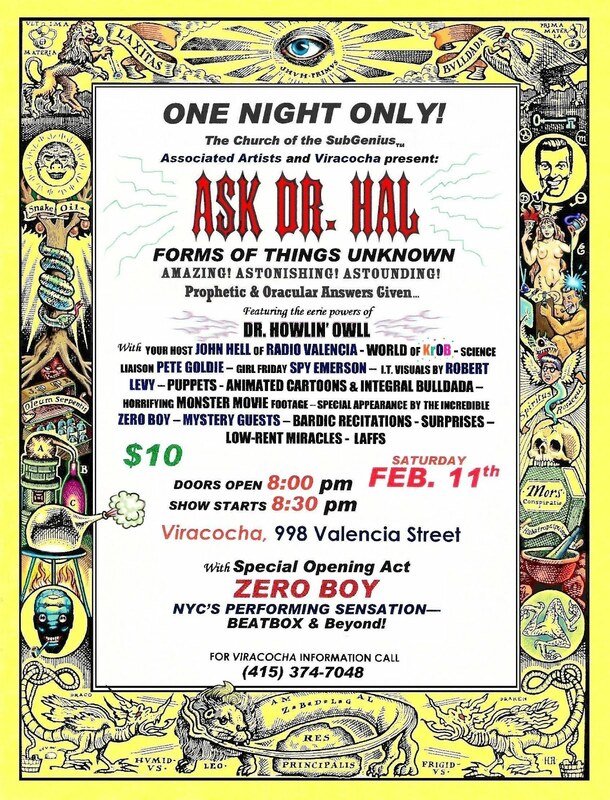 I’m proud to announce that I’m hosting the Ask Dr. Hal show this Saturday night, doors at 8, at Viracocha, 998 Valencia St., at 21st, in San Francisco. Prophetic & Oracular Answers Given– to Any Question! space at 998 Valencia Street, the corner of 21st & Valencia. expanding audience will enjoy its comfortable atmosphere and amenities. Dr. Hal! 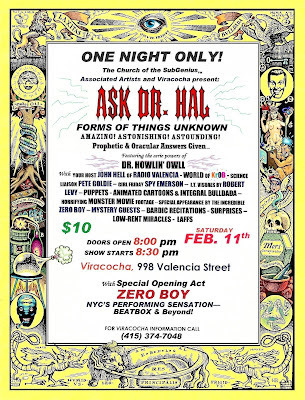 will feature NYC’s Zero Boy as an opening act. will end before Midnight. Do YOU have a variety act you would like to perform to open for us? Now taking submissions.